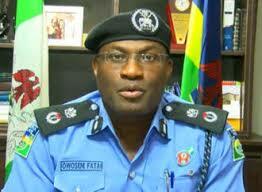 Lagos State Police Commissioner Mr Fatai Owoseni. After weeks of intense search, operatives of the Imo State Police Command at the weekend shot a suspected armed robber, named Chimobi Okorie.Okorie, until his death, was allegedly involved in several armed robbery operations in the state, leading to his manhunt by the police. Confirming the incident yesterday in Owerri, the command’s Public Relations Officer, Andrew Enwerem, a Deputy Superintendent of Police (DSP), disclosed that the deceased was traced to a hotel in Okigwe, Imo State, where he engaged the police in gun duel, but the police superior firepower overwhelmed him and in his attempts to escape, he was riddled with bullets. Enwerem said he was eventually arrested and taken to a hospital, but doctors confirmed him dead on arrival.In another development, the police spokesman said operatives of the command acted on a tip-off and dispatched a team known as Operation Condone to a morgue in Osisioma Aba, Abia State, where, a bank robbery suspect, Justice Ogbonna, was arrested. According to Enwerem, Ogbonna is currently under the custody of the command for further investigation.He said Ogbonna was alleged to be among the armed robbers, who attempted to gain entrance into the Zenith Bank along Wethdral Road, Owerri, on February 23. In the incident, during a gun-battle between the police and robbers, a suspected robber was killed, while three police officers were wounded. RCCG Minister In Police Custody For Allegedly Defrauding Church.